Most at home swinging through the trees by his long curly tail, the happiest primate in the jungle is Smudge Monkey. Unlike his messy friends, he’s a clean and super soft buddy to anyone who wants to shower him in cuddles. 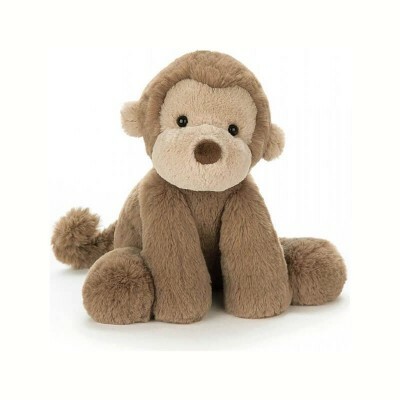 With an adorably round face and button nose, Jellycat crafts him from a silky plush material that’s gentle on the skin; making him the perfect bedtime companion for your own little monkeys.